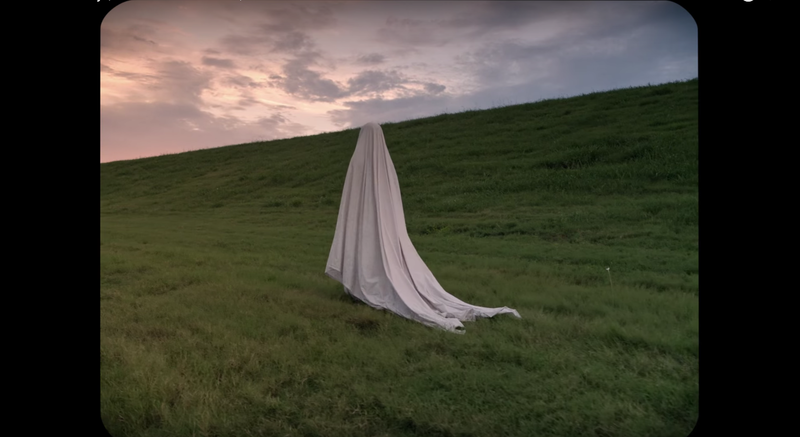 Casey Affleck under a bed sheet as a ghost, a quiet film with little dialogue and not a clear story, 'A Ghost Story' won't be for everyone but it is certainly the most unique film of the year. A passionate young couple are about to move home when tragedy strikes. This loss takes the ghost of the victim on a journey about time, life, loss, and love. Production company A24 has really made a name for themselves by creating unique stories in the sub genre of 'post-horror'. Films like 'It Comes At Night' and now 'A Ghost Story' are looking at existential dread rather than the usual techniques used within the horror genre. Due to this, it is moving away from the expectations of a horror film which is causing critics to love the film but the general audiences to feel like they're missing out on something. These types of films are becoming incredibly divisive and most certainly aren't for everyone - this was most evident as many people walked out of the cinema during the screening. It all seems to depend on what you would like to watch a film for. If you want something that will really make you think during the film and once you leave with the focus on a deeper meaning rather than on story, then 'A Ghost Story' is for you. If you're just looking for a normal horror that uses traditional scares, then it's probably best to stay away from this one. 'A Ghost Story' starts off with us being introduced to an unnamed loving couple played by Casey Affleck and Rooney Mara. Soon after, tragedy strikes as Affleck's character is killed in a car accident, leaving Mara to deal with the loss. Whilst at the autopsy Affleck rises but under a bed sheet with two holes cut through in what is a budget ghost costume for Halloween. At first, this does seem incredibly silly but it does the job perfectly picturing a supernatural presence. From here we go from the current time, into the future and back to the past in this very unconventional tale. Director David Lowery uses imagery almost fully to tell the story of this film as dialogue is fairly scarce. The film is eerily silent throughout the majority of the runtime as its imagery looks to explore several different issues such as dealing with the passage of time and with loss. This is all except for one particular scene where there is a fairly large monologue where a character basically reaffirms everything that has been shown so far but audibly hammers the concept of the film into you. 'A Ghost Story' takes the viewpoint of the ghost rather than those who he is following or haunting as the film mixes time travel and loops into the story. We see the immediate aftermath with the ghost keeping an eye on the widowed Mara as she deals with the loss. There is a great deal of emotion in these scenes as we see the struggle of dealing with loss but also how heartbreaking it is that the ghost is there and unable to act or help out. As time goes on, Mara's character moves on with her life and due to this, it leaves an impact as she tries to move on from her husband, all the meantime while he is spiritually still there. Again, there isn't much dialogue and you can't even see the facial reactions from the ghost. Yet, this is so incredibly powerful as you have seen the loving bond between the two and how sad it would be to have that stripped away from you all of a sudden. This unconventional story is also filmed different, being shot in 4:3 ration with rounded edges like Pulp's 'Disco 2000' music video. The screen is shrunk down which gives a more intimate frame which makes each shot more tightly constructed. The cinematography is also breathtaking as the film uses slow pans and stills very effectively in maintaining emotion, the journey home for the ghost is a great example for this. The film as a whole is incredibly beautiful and is backed up by a powerful score and soundtrack. The slow music adds so much impact to the film as does the original song from Dark Rooms. There is a scene where we see Mara reflecting over the loss whilst listening to her late partner's song in what is one of the best and most emotional moments of the year. The performances, music, and editing all combine magnificently, creating a powerful beautiful scene. The performances alone deserve great praise, especially for Rooney Mara who mainly acts with the ghost watching over her. With the lack of dialogue, Mara has to use her reactions and facial expressions and she does so masterfully as she continues to show that she is one of the finest actresses of her generation. A scene which features Mara eating a whole pie in a 4-minute unedited sequence shows her grief in an eerily silent, unique, and incredibly effective way. The scene is also a good gauge for whether or not you will like this film as this is when the seven people left my screening. To me, it was one of the film's most powerful moments. Casey Affleck spends most of his time under a bed sheet yet leaves an impact. The film plays with some tropes of the horror genre such as why paranormal things may happen such as moving objects and random noises. The film looks at this being something deeper with frustrations of those lost being the reason which allows Affleck to really leave his mark. 'A Ghost Story' really is something truly unique and special there isn't really anything like it. The story doesn't try to horrify you but it will leave an everlasting impact as you leave questioning so many elements of life and time. Emotional daring and beautiful, 'A Ghost Story' is a slow burning emotional rollercoaster that will have you thinking about the film for a long time afterwards. So have you seen 'A Ghost Story'? If so what did you think of the film? I hope that this review was useful for if you were planning on seeing the film or not. Once again thank you for taking the time to read my review, it is much appreciated!